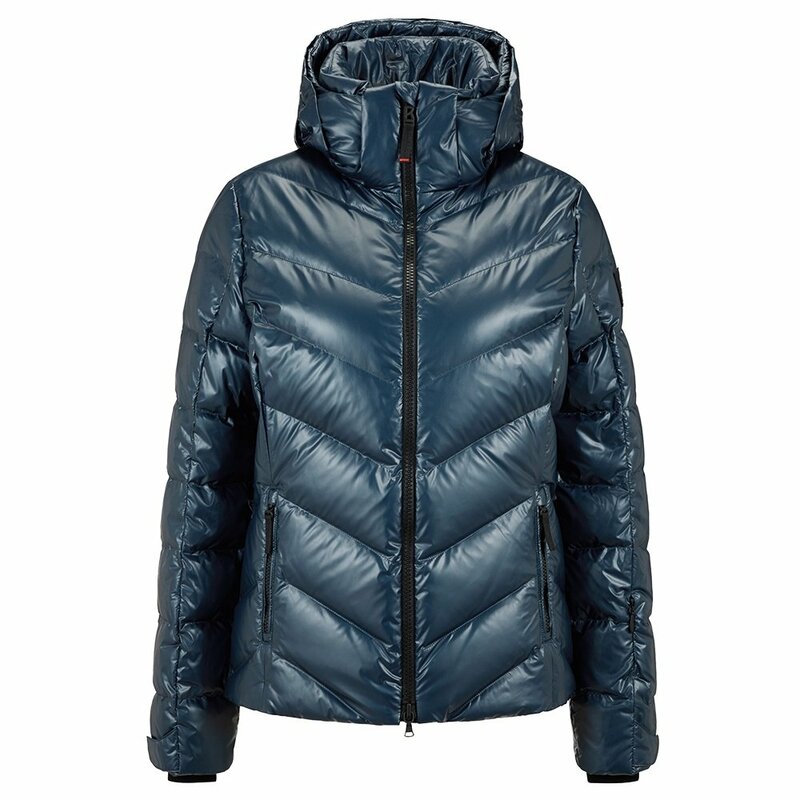 Are you looking for a smart winter jacket with a bit of modern, runway-inspired style? Then set your sights on the Bogner Fire + Ice Sassy Ski Jacket, with a slim, modern cut, chevron quilting, and an all-over metallic fabric. This jacket has 150g of heat-trapping insulation, so it’s warm on even the coldest winter days. There’s even a powder skirt and wrist gaiters to help keep snow off your skin. For a little extra lux, pair the shimmery Bogner Fire + Ice Sassy Ski Jacket with an optional fur detail to turn heads all winter long.